I don’t like to buy something just to buy something! I love when I can find the perfect gift for the people I love BUT sometimes it is hard and I could use some help. 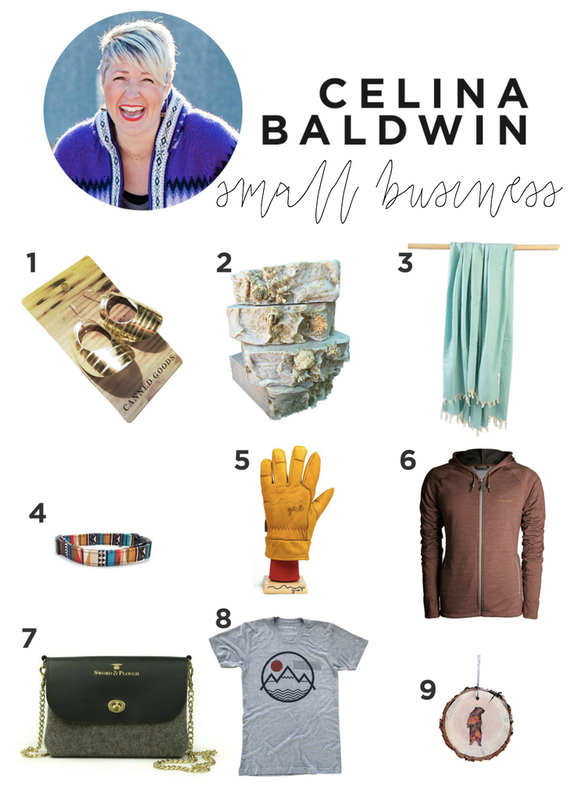 Today our creative team has put together some ideas for the girlie girl, the guy in your life and from small businesses you may want to support. I love to give gifts that I would like to receive. 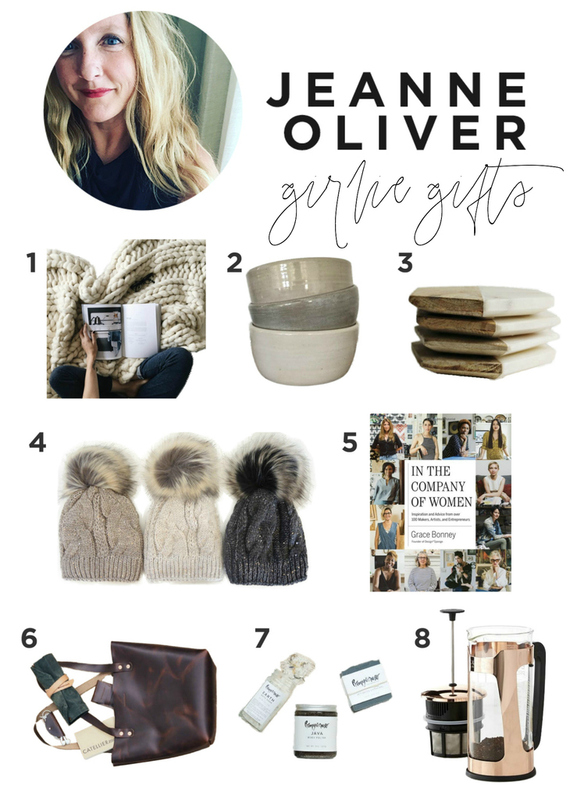 Give me all the books, coffee and cozy gifts! These are all items that I have and LOVE! These are also items that I use all of the time you will know that these gifts will be well used. Coziest handmade chunky blanket. Pure yumminess! My go to place for handmade artisan pottery is Chris Taylor. Each piece is beautifully made and goes with everything. I love to mix and match and it is a gorgeous gift. This shop is brand new and I just bought way too much BUT check out these marble and wood coasters! Hello! This is the warmest and cutest hat I own. Who doesn’t want to walk around town with a big fury ball on the top of your head? I thought so. It you know a creative woman than this is the gift for her! Awesome book that is inspiring and encouraging. Beautifully made and represents all of us. Nothing makes me happier than to support another artist and this leather tote is handmade from a local artisan that mixes the finest supplies and design. Bravo! This lotion is also from another local artisan and it is not only an excellent product but her packing puts it over the top! When you need to take your French press up a notch! Beautiful and functional. Having an excuse to spend money on my husband is such a fun part of the holiday season for me! But let’s be real for a second, men can be very difficult to shop for. So I love spending time looking around to find things he normally wouldn’t buy for himself, but also things that are practical that he’d love and appreciate. 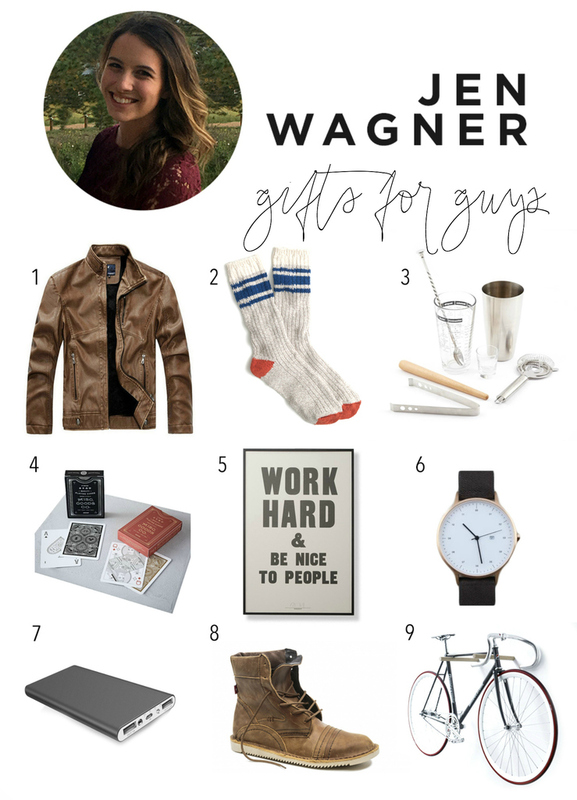 He loves great design, minimalism, and leather (you know, man things I guess), so I scoured the internet to find a list of a few things that he and many other men may love to receive this Christmas! producing them and that costs a bit more. jewelry sold to a homeless shelter! Win/Win/Win! course, it gets us clean. repeating- the Turkish blankets and towels from Hygge are to-die-for! favorite, but I love the towels, too! gift with meaning that will last! company sells some radical shirts and hats for men, women and children. would finally figure out how rad Colorado is and move here. Shop Shabby for some awesome alpaca products.